Via BBC News, “Several outbreaks of violence have marred the US Black Friday shopping frenzy, as bargain-hunters besieged malls across the US. In Chicago police shot an alleged shoplifter; a robber shot a shopper in Las Vegas; and a California police officer was injured in a fight. 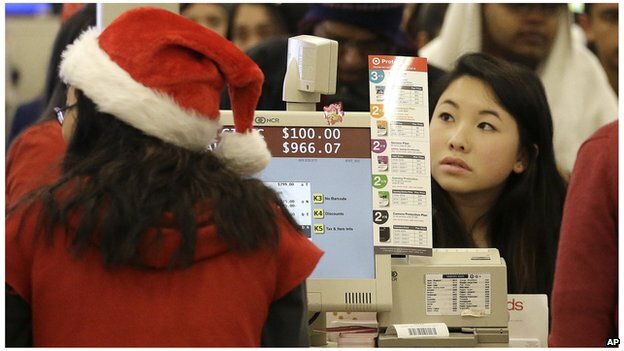 Black Friday, the day following the Thanksgiving holiday, is the biggest shopping day of the year in the US. This year it began even earlier amid a trend for Thanksgiving openings. Twelve national chains opened their doors on Thursday, advertising aggressive discounts. Some 15,000 shoppers stormed the flagship Macy’s in New York City as it opened for the first time ever on Thanksgiving evening.